When Blue Dot is running late, his whereabouts get caught up in a hilarious chain of miscommunication. Blue Dot is late for dinner, and one misheard statement leads to a string of rumors about where he could be. Did he move out of town? Has he become a circus clown? Why is he delayed? Did he join a parade? It’s a classic game of telephone gone awry. 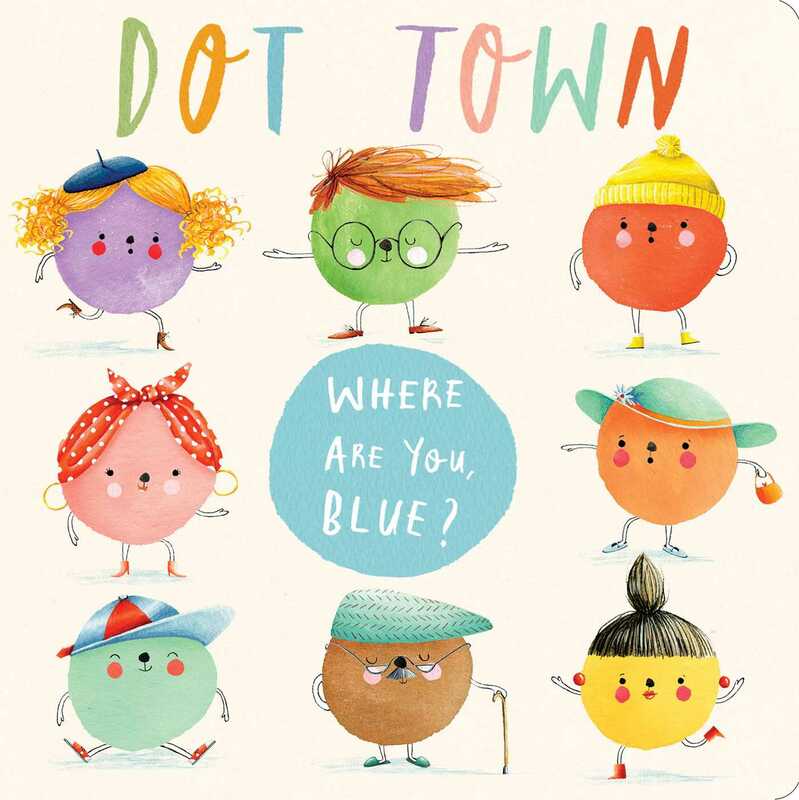 Readers young and old will love sharing this sturdy board book filled with rhyming text and dots who are as vibrant in color as they are in character. Holly Clifton-Brown’s home base is London, England. She earned her degree in illustration from the University of the West of England. Recently, Holly traveled through Ladkah and North Spain with her husband, furthering her yoga practice and love of surfing. Holly likes walks with her dog, Olive, growing vegetables, and picture books. Book Cover Image (jpg): Where Are You, Blue?